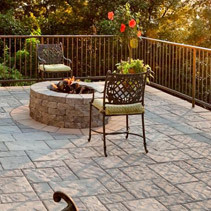 Concrete patios, balconies and steps will stain, crack and wear-out quickly, giving an older and less maintained appearance to any home. 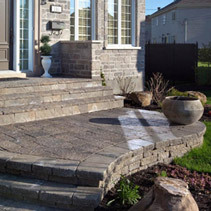 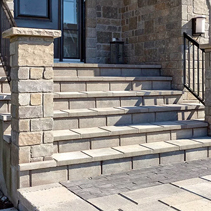 Techo-Bloc offers the possibility to restore your outdoor steps or terrace with its no-maintenance salt-resistant concrete overlay systems. 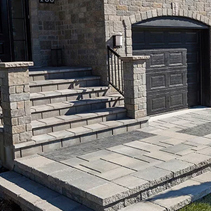 The Venetian series will have your tired steps looking elegant and refined and the Blu 45 mm will have your balcony and patio looking clean and polished all year round.